Hang in there. The holidays are almost over. Your seemingly endless search for party chit-chat topics is fast approaching the finish line. Pretty soon you'll be able to sit in your chair, relax your smile muscles, and just say nothing. *Who's calling? Forty-eight percent of cellphone users have reported scam calls from a familiar area code (a method know as neighbor spoofing). This is up 400 percent over last year. *Did you buy a gift for your boss this year? Well, it pays to be the top dog. On average this Christmas, employees spent 52 percent more on gifts for their boss than other co-workers. *Along these lines, I have to say that I do not know anyone who has stayed awake for an entire Monday Night Football game. They are just on too late for most people in the Eastern time zone. This is a head-scratcher. According to Nielsen, 54.3 million TV households in America are in the Eastern Zone. There are 31.9 million in the Central time zone, 6.7 million in the Mountain, and 16.7 million in the Pacific. So, with 49 percent of the TVs in the Eastern zone, you start the games so late they end after midnight? What sense does that make? Do yourself a favor and watch a real football championship that has been determined by a 24-team tournament during which they play actual games (what a concept). The FCS (Division 1) Championship will pair the 14-0 James Madison Dukes versus the 13-1 North Dakota State Bison at noon on January 6 on ESPN2. *Can you hear me now? Vinyl records are making a comeback and were a hot gift item this year. This undoubtedly led to shouts of “turn that music down” in many households across this great land. But do you know how loud is loud? 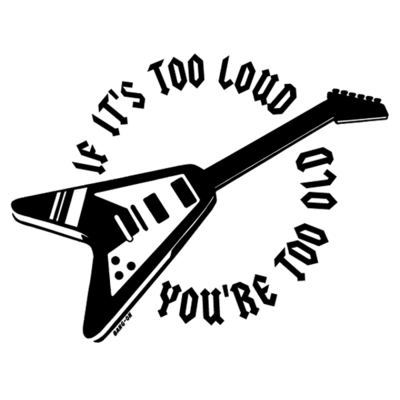 According to the Book of Loud by Marshall Amplifiers, there have been some officially certified loudest concerts. By way of comparison, breathing is about 10 decibels (dB), a normal conversation is 50 dB, noise that can cause permanent hearing loss is 85 dB, and a jet take-off is 100 dB. Some rock bands have eclipsed those standards. In concerts, Deep Purple recorded a 117 dB meter reading, The Who had a 126 dB, AC/DC logged a 130 dB along with Led Zeppelin. Motorhead also reached 130 dB at the Cleveland Variety Theater which caused the plaster to fall from the ceiling. The all-time loudest, however, goes to none other than KISS. Their 2009 concert in Ottawa, Canada rattled the town at 136 dB and they were eventually forced to turn it down after the police responded to neighbor's complaints.